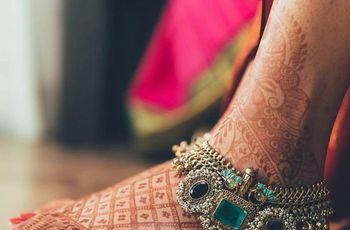 9 Sets of Bridal Bangles That Can Jingle Your Wrists Towards A Complete Bridal Look | Wedding Tips ARE YOU A VENDOR? Here is a vibrant selection of beautiful bridal bangles for the more beautiful bride to adorn on her big day. Select the style that compliments your attire and adds radiance to your personality! Bridal jewellery is an integral part of the quintessential Indian bride’s attire. Even though the jewellery showstoppers are always the wedding necklace sets, the look is incomplete without the fine details of bridal bangles. 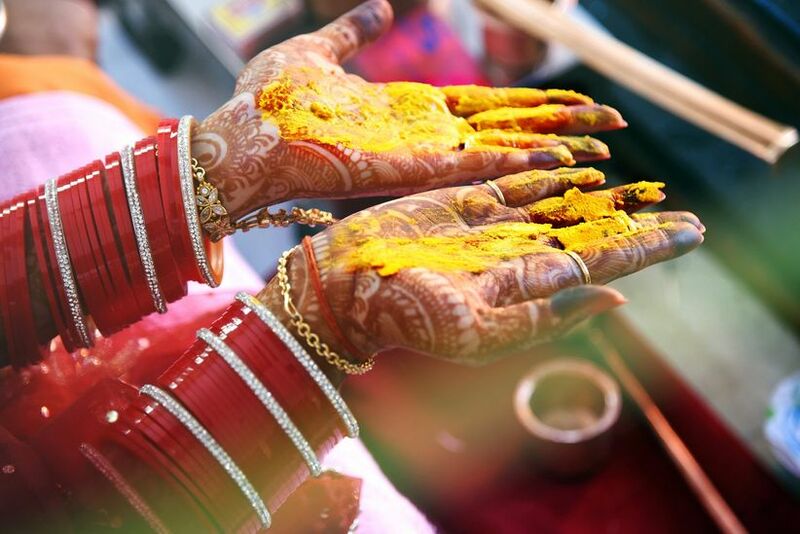 The engagement, the bridal Chura ceremony, the Kalire ceremony and, of course, the Mehndi ceremony, all revolve around the bride’s gorgeous hands and wrists. 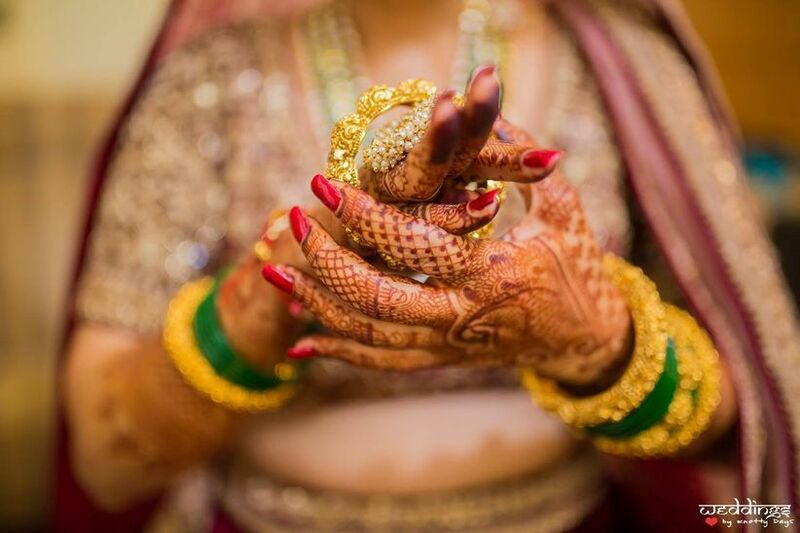 So, it is only fair to give a little extra attention in accessorising those pretty hands and add more sparkle and glow to the bride’s attire. We have gathered a vibrant array of different styles of bridal bangles for you. Select the one that best suits your outfit! 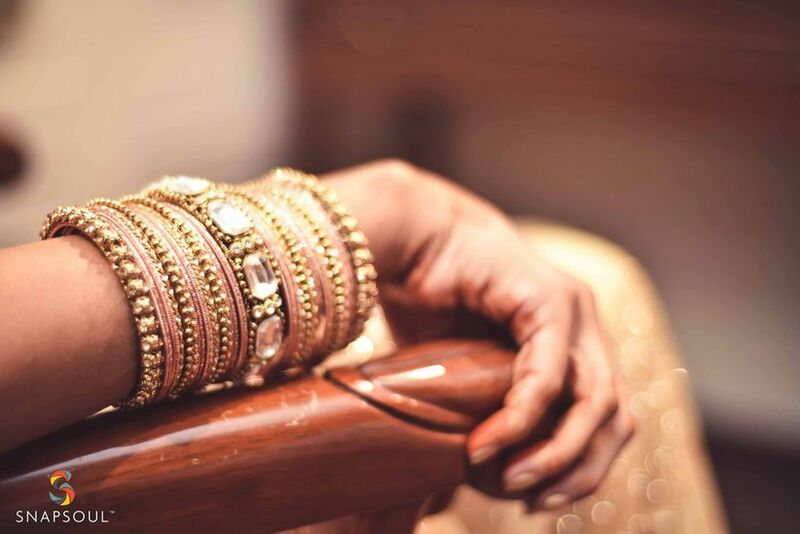 By far, the most traditional form of bridal bangles, thick golden Kangans are as ornate and majestic as they come. They are usually accentuated with intricate detailing going all along the circumference. Some Kangans are encrusted with precious gemstones to take the regal look to the next level. These are an heirloom that is gifted to the bride from her mother-in-law. Place them at the wrist ahead and behind your set of simple bangles. If you're wearing a bridal chura as well, add just a single Kangan ahead of this set. Believe us, your wrists will really, really thank you for it. The overall style of these bridal bangles is along the lines of a Kangan. They are a wide bangle that comes with hinges and a lock that allows the wearer the easy of adorning it. Traditional Kadas are mostly made in gold and embossed with intricate details. Their design reflects the richness of work that complements the bride’s stunning attire. These hold a special place as far as Rajputi jewellery sets are concerned. One before, one after, with a set of bridal bangles between all of it. For easier days or day functions, try to keep to just the Kadas and leave your arms free from the weight of the entire set. Dainty diamond bangles are the most suitable choice for the minimal bride. Infinity bangles encrusted with precious diamonds are a classic piece of jewellery that will never go out of style. The fact that they go with any outfit and add the perfect amount of sparkle, is an added bonus. This is a must-have in every bridal trousseau! Restrict to just your pretty diamond bangles for an Indo-western look (like a wedding reception or a cocktail). Don’t be fooled by the simplicity of a glass bangle, Choodiyan have made a long way. They are available in different colours and are a treat to the eyes. Green glass bangles are a part of a quintessential Marathi bride’s Shringhar. When paired with other bridal bangles like Kada and Kangan, they look absolutely stunning and add a vivid pop of colour. Intersperse your glassy delights with Kangans and hear them clink all the way to your wedding mandap. That sound would be as peaceful as church bells for you. 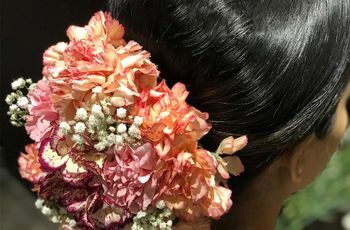 The bridal chura holds a special significance for a bride. They are more than just a stunning ornament, they are a reflection of blessings and good wishes that she carries from her loved ones. 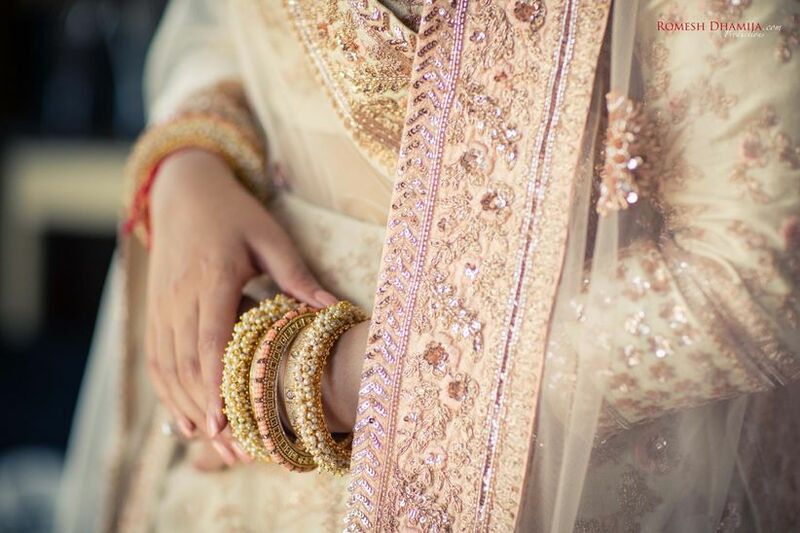 Traditionally they are set of maroon and ivory white bangles, but, nowadays they are available in many colours for the bride to match her outfit with. 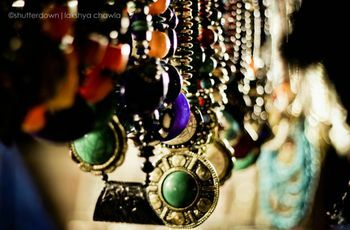 The chura bangles hold their own and a generally worn without any significant add-ons (apart from the Kada). 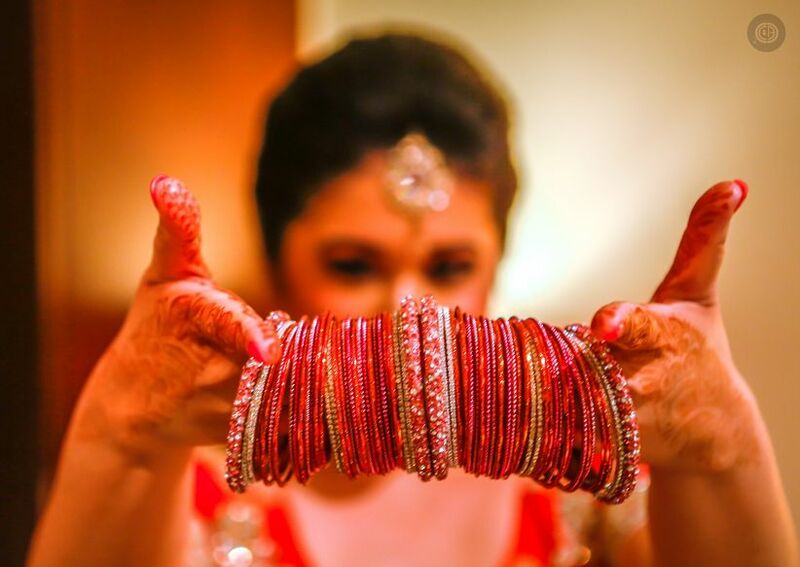 Though a set of red bangles is timeless most brides these days choose to match one with their outfit. Baju band are a traditional form of armlet that is adorned by the brides of different cultures. It enriches the bride’s upper arm with a flexible gold band embossed with intricate details and encrusted with gemstones. They look absolutely stunning when adorned with a short sleeve bridal outfit. Add the armlet up high, with barely anything to take the attention away from them (a short-sleeved or crop top blouse would be an ideal pairing). 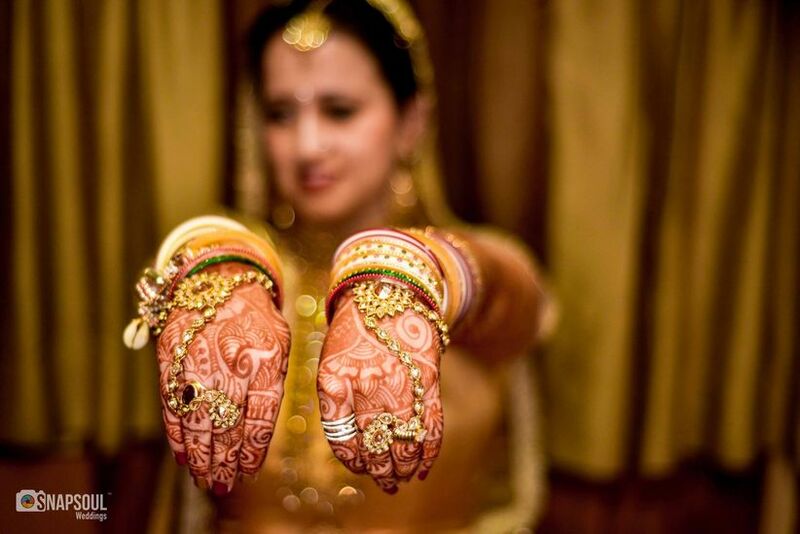 Haath Phool, aka hand-chain, has become quite a popular accessory with the modern-day brides. From precious Polki Kundan to delicate and dainty real flowers, a Haath Phool is available in many styles suitable for any wedding function. The design element of a dainty bracelet delicately connecting with a ring looks exquisite. The Haath Phool is a great accessory to set things right. Add them over a layer of bridal mehndi and see how they legitimately bring it to life. 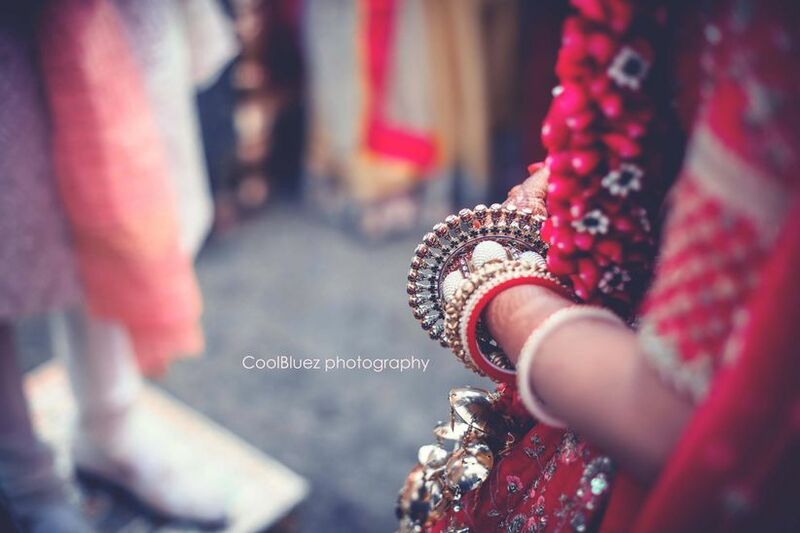 The Gokhru are traditional Rajasthani bridal bangles which make a statement whenever they are adorned. They rise above your wrist with intricate filigree work going all along the thickness. When adorned by the bride, they are sure to be a highlighted feature of her attire. The Gokhru is a single oversize ornament along your wrist, so you don't need to think much before pairing it with another. Believe us, it will shine with its own light. Pearls add a dreamy effect to any jewellery piece and bridal bangles are no exception. Pearl bangles are the perfect partner for any wedding ensemble as they go well with any colour of clothing and any style of jewellery. A gold base band embellished with micro pearls will add a dash of charming purity to any bridal attire. If it's a tiny set of pearls many times over, like the set here, let them be the only ornament on your arms. Otherwise, intersperse them with exact match colours as well. 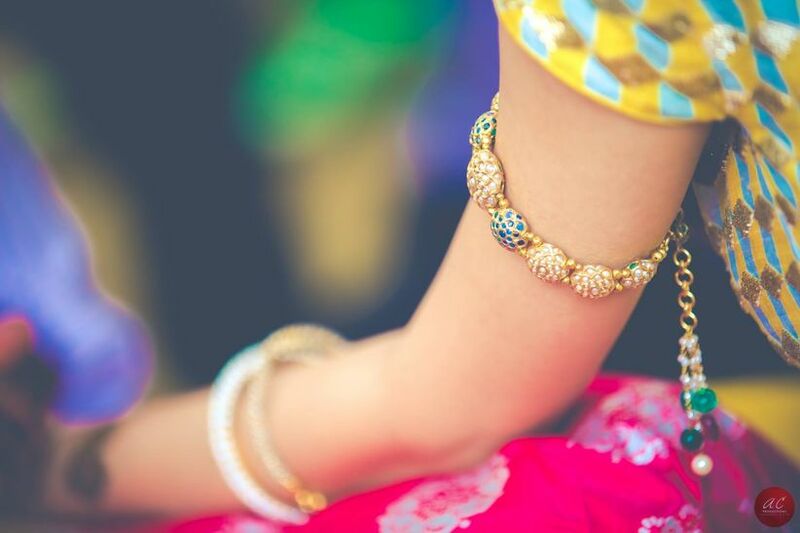 Bridal bangles are an integral part of a bride’s Shringhar on her wedding day. There are many design options available for the millennium bride to choose from. 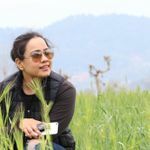 She can easily customise these and match them with the hues and tones of her outfit or with the design of the bridal necklace set that she plans to adorn on her big day. Keen on exploring more in bridal jewellery? 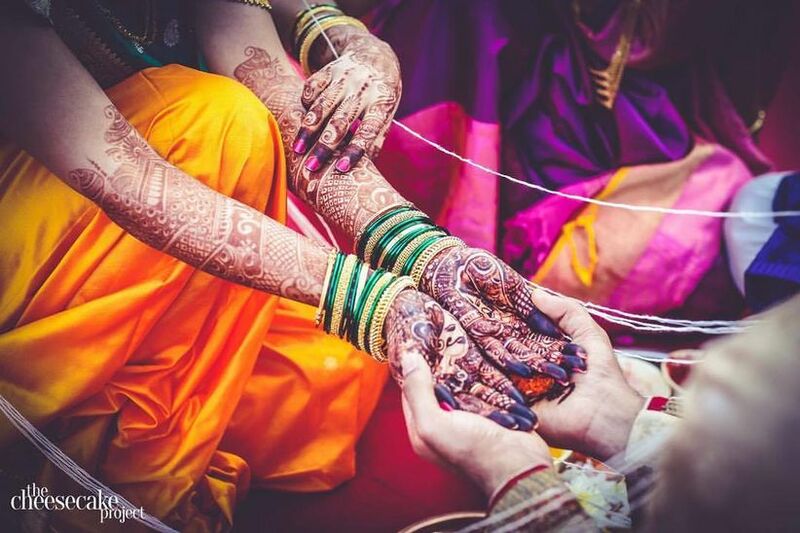 Connect with some of our WeddingWire India vendors. 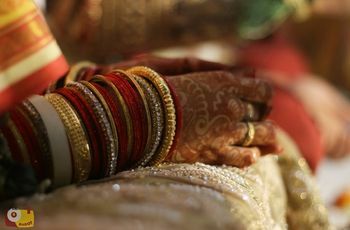 1 comment in "9 Sets of Bridal Bangles That Can Jingle Your Wrists Towards A Complete Bridal Look"